Free Shipping Included! 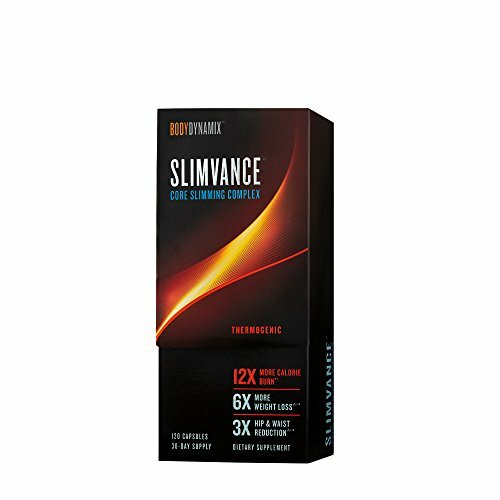 BodyDynamix Slimvance Core Slimming Complex by SLIMVANCE at Lose Weight Fast Now. Hurry! Limited time offer. Offer valid only while supplies last. 12x More Calorie Burn, 6x More Weight Loss, 3x Hip Waist Reduction. As a dietary supplement, take one capsule 30 minutes before breakfast and dinner. 12x More Calorie Burn, 6x More Weight Loss, 3x Hip Waist Reduction. As a dietary supplement, take one capsule 30 minutes before breakfast and dinner. Do not exceed recommended dose of Slimvance per day. If you have any questions about this product by SLIMVANCE, contact us by completing and submitting the form below. If you are looking for a specif part number, please include it with your message.